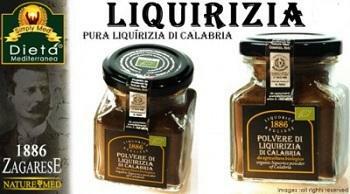 ladies :"Love is a dream, sweet as milk and liquorice" ( L'amore e' un sogno, dolce come il latte e la liquirizia) . It seems incredible, but its sweetness far exceed that of sugar and is so powerful that a small piece of licorice left to macerate in 20,000 liters of water is always able to perceive its characteristic flavor. 1) The long and thick roots whose flavors are a mix of bitter-sweet. 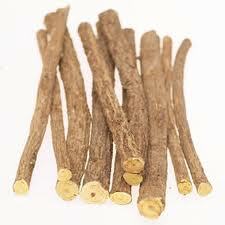 2) Its medicinal use to cure throat infections and respiratory apparatus, is traditionally and universally recognized. 3) The fact that under certain climatic and soil conditions, the plant grows luxuriantly without need for human intervention while outside of these conditions its cultivation is impossible or requires attentive care, continuous and extremely expensive. Like many other raw materials, of animal, vegetable or mineral useful to treat, dye, flavor and preserve, within the large group euro-Asian licorice has a very hold history and traditional uses. 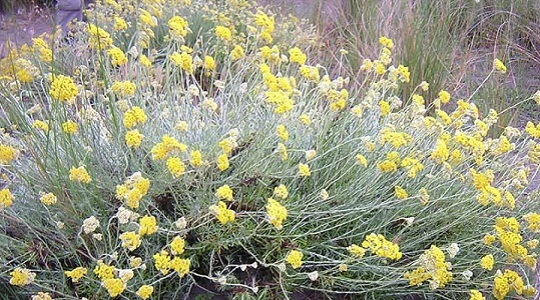 The first and most important tradition is that of the Mediterranean, from where the reputation and uses of this miraculous plant spread in the Islamic world, thanks to the work of Pedanius Dioscorides (Materia Medica), a Greek physician pharmacologist and botanist traveling alongside the Roman legions. In his work the liquorice is indicated precisely as a remedy for sore throat and chest pain. 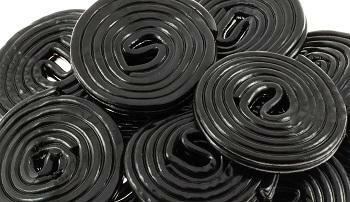 Should be specified that not all liquorice are equal. 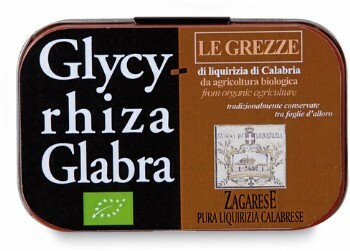 Nineteenth century merchants around the world knew very well that the most valuable from the medical point of view, is the Glycyrrhiza glabra coming mainly from southern Italy and Spain. The power of licorice to make the taste of drugs, food and beverages more palatable is known from ancient times and has been widely used throughout the Eurasian area. 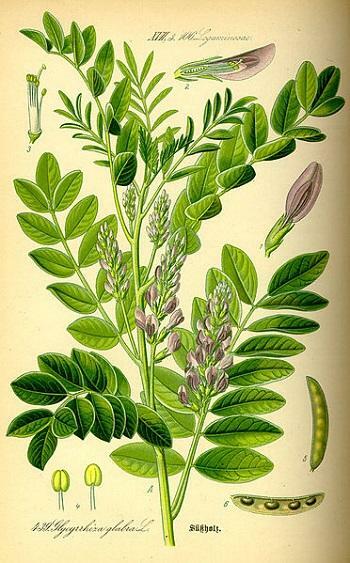 In the Eighteenth century, for example, in the United Kingdom the licorice had been widely used in the brewing of beer, for its coloring and foaming power and as a spice. 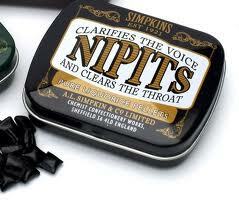 In the United States in the first half of the nineteenth century the problem was instead to make more pleasant a product of enormous success but with some problems of taste, tobacco chewing. Up to the first decades of the twentieth century, in fact, high consumption of tobacco in this country was mainly directed to chewing, almost unknown in Europe. In the '50s, Americans discovered the anti-inflammatory and soothing properties of the product, and decided to publicize it as "a smoke antidote", able to mitigate the damage of cigars and cigarettes, licorice was also sold in tobacco shops. 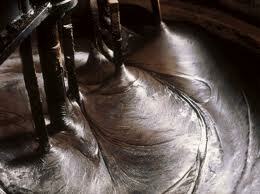 The process of manufacturing liquorice candy has two methods. The use of which method depends on the scale the company is to produce. This means that candy companies that operate on a small production scale use the Corn Starch Molding Process, which is the same process used to make candy corns. 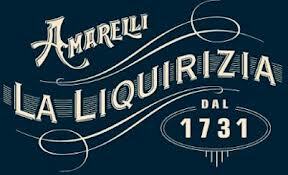 One of such company is Amarelli in the northern part of Calabria, South Italy on the shores of the Gulf of Taranto in the Ionian Sea. This is in the sun-drenched high arch of the Italian peninsula's boot and once was part of the Byzantine Empire. It is the best licorice in the world because it grows in a specific area of Calabria where the earth and the sky do most of the work to create its unique taste,” says Pia Amarelli, who runs the family firm that has been making licorice since 1731. 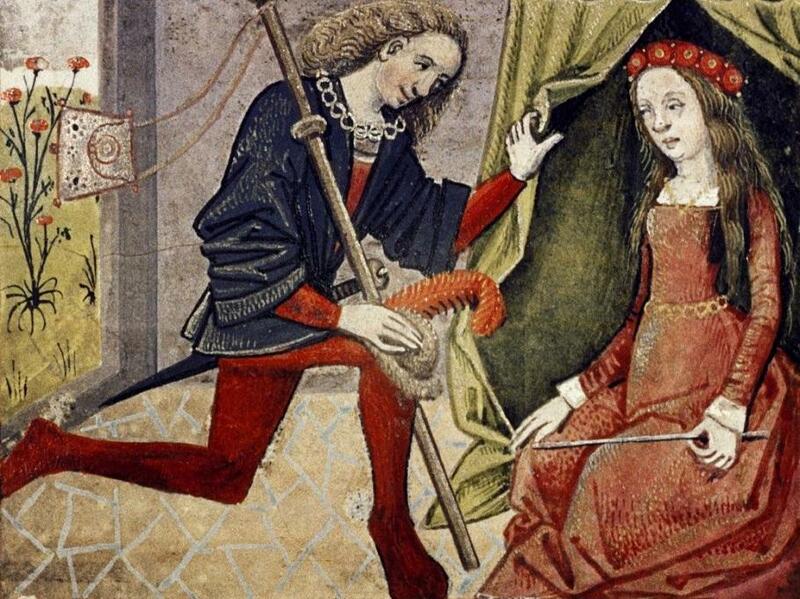 Known throughout the country as “the queen of licorice,” she likes to point out the family motto, part of the coat of arms, is domatur armis, Latin for “conquered only by force of arms.” It's this position of strength that keeps them in the high segment of a globalized market. 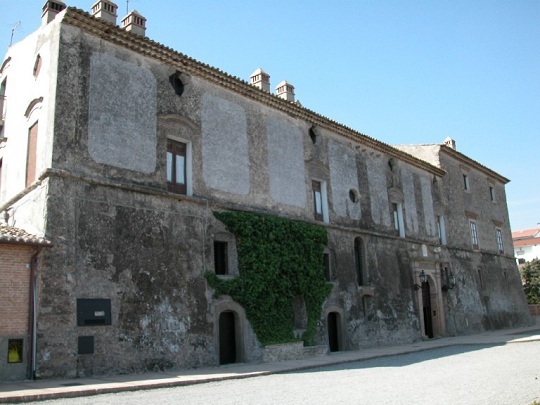 The indomitable Amarelli was the driving force behind Museo della Liquirizia Giorgio Amarelli, an extraordinary museum within a lovely stone mansion owned by the family since the late 15th century. Licorice is an important plant of ancient Egypt, in Syria and China, was already known in ancient Greek medicine but only in the fifteenth century was introduced by the Dominican friars in Europe. 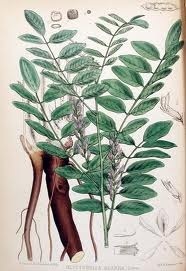 According to the the first Chinese herbarium in Asia Licorice has been used for about 5,000 years and is one of the most important plants. Chinese doctors prescribe it to treat cough, liver disorders and food poisoning. The most important active ingredient of licorice is glycyrrhizinwhich which gives it anti-inflammatory and antiviral properties. It is also sweeter than sucrose. Modern research seeks to take advantage of it for new therapeutic perspectives: ulcer therapy, chronic liver disease, and prevention of severe autoimmune diseases. 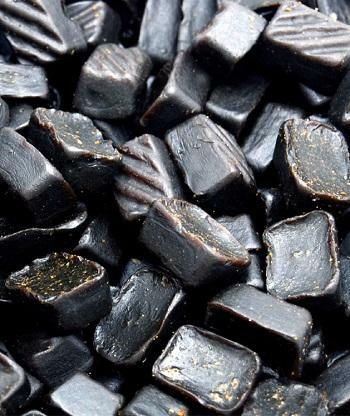 Calabria, Southern Italy, boasts a centuries-old tradition in the production of licorice.The company Amarelli, founded by Giorgio Amarelli in Rossano, is the only active in Europe in the production of licorice, and employes about 300 workers. 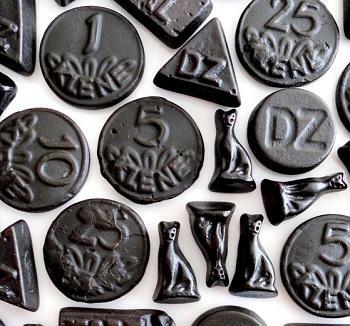 The Liquorice Museum, is also unique in Europe, has about 40,000 visitors a year and is located on the area of ​​agriculture and production plant. 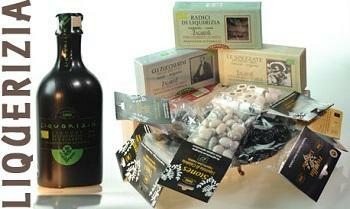 Even Abruzzo boasts a great amount of liquorice production: it is the second largest region for production. Meridione come una intelligente alternativa turistica, ben consapevoli che il successo dell'uno è essenziale per il successo dell'altro.